Ayurveda has proven its worth to the whole world and now more people are embracing it. The credibility and reliability of Ayurvedic therapies and treatments are no more shrouded in the mists of scepticism. Today, more and more people are willing to look for Ayurvedic practitioners who understand the power of this amazing ancient India medicine. Dr. Pradeep Kumar Chaurasiya is one of the few Ayurveda practitioners in India who not only possess a degree as a Panchkarma Physician (M.D. Panchkarma) but also have Ayurvedic Speciality in Diabetes, Skin Disorders, Obesity, Liver Disorders and Pain Management. He knows how to diagnose the patient according to Ayurvedic pathophysiology and offer him or her treatment accordingly. Perhaps that is why from last 6 years he has been practicing at DJI Ayurveda-Wellness & Panchkarma Center Gomti Nagar, Lucknow and is able to help innumerable patients suffering from different types of disorders that includes lifestyle disorders- diabetes, high blood pressure, respiratory disorders -chronic bronchitis, asthma, pneumonia, GIT disorder - gastritis, IBS, constipation, colitis, etc. A woman who knows that there is no boundary which can stop her from being a successful Ayurvedic practitioner, Dr. Saumya Gupta has been working incessantly from the past 6 years in the field of Ayurvedic treatment. With her knowledge in Ayurveda and her skills in diagnosing the dosha of the patients, Dr. Saumya Gupta has helped many patients in her career. After completing her BAMS from Government Ayurvedic College Varanasi in the year 2011, she has brought happiness in the lives of many patients suffering from diseases like nutritional deficiency, piles, asthma, hypertension, ulcers, Ulcerative colitis, etc. Currently, practising at DJI Ayurveda-Wellness & Panchkarma Center Gomti Nagar, Lucknow, she aims to offer proper treatments and Ayurvedic therapies to the patients who want to get well in a natural way. Her knack in Ayurveda is reflected in her success rate of resolving different health problems, such as liver disorders, skin disorders, Gout, respiratory disorders, and many more. Having a legacy of more than a decade, DJI Ayurveda is the pinnacle of Ayurvedic solutions to your health problems. Defying all the challenges in the road of Ayurvedic service, DJI Ayurveda punctures negativism in your life and instills you with positivity by unveiling you effective results in resolving your chronic conditions. What makes DJI Ayurveda special? We have some of the finest ayurvedic practitioners who have experience and knowledge in delivering you remarkable Ayurvedic treatments that includes some all the traditional Ayurvedic therapies that if not handled properly can lead to serious problems, thereby damaging your organs permanently instead of removing your dosha. We also provide training to all those individuals who want to have a career as a Panchkarma Therapists or Ayurvedic Nurses with the help of our Ayurvedic Academy. 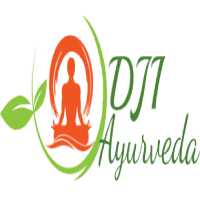 You may even look for Advanced panchkarma courses here at DJI Ayurveda Academy to become a professionally qualified Ayurvedic doctor.